The American Adventure is an amazing show that has been entertaining guests for almost 34 years. It is a technological marvel for 1982. 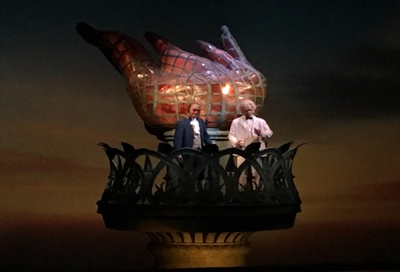 I took this shot of Ben Franklin and Mark Twain during the finale, while enjoying the show last week.